There are many different options when considering which type of sign would best fit the specific needs of your company. 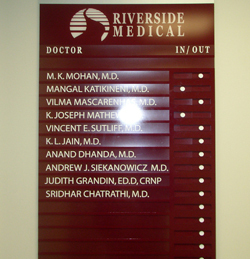 Signs can act as a sort of first impression for potential customers, residence, or any other such person. Here at Kerley Signs we understand that there are a wide variety of people out there, some of which are less fortunate than others. 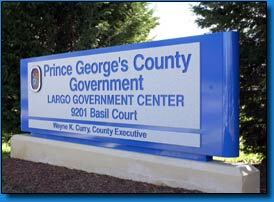 From visual problems to a variety of other issues, ADA Architectural Custom Signs can be deemed a great way to assist in making life a bit easier for all those with disabilities, especially in the Maryland, Virginia, and Washington DC areas. With features such as braille, extreme light and darkness, and non-glare backgrounds, these ADA architectural signs can be seen as a great help to those with any sort of visual or other disability. Generally, these signs are associated with braille, and therefore blindness, or visually impaired individuals. However, ADA architectural signs can aide those with mobility impairments as well as hearing impairments. They're generally more functional than flashy, as they are aimed to assist. So let Kerley Signs help you to become able to help others.